Betula is a genus of about 60 species of deciduous trees and shrubs found in diverse habitats, including woodland, moors, mountains and heathland throughout the Northern hemisphere. Birches are one of the toughest and most tolerant genera of deciduous trees and are generally the first species to establish themselves on the edges of woodland or on wasteland. Leaves are alternate, toothed, usually ovate and mid- to dark green. Leaves appear shortly after flowering in April or May. Their Autumn colouring varies from bright yellow to orange. Birches are monoecious (i.e. with separate male and female flowers on the same tree) and rely on the wind for pollination. Birches are commonly favoured for their bark though only two species native to the UK develop white bark, the Silver Birch (Betula pendula, also known as weeping birch) and the Downy Birch (Betula pubescens). There are many other species from around the world that are favoured for bonsai ; it would not be possible to name them all here. It should be noted that there are a great number of varieties of Betula as they very readily hybridise, indeed most seed from cultivated plants will not be true to the parent tree and are hybrids. Birches tend to have shiny brown trunks when immature and in a pot it can take many years of growth before they form the familiar silvery-white bark. It is recommended that to speed up this process, Birches are first grown in the ground where they colour up considerably quicker. The bark must be exposed to direct summer sun to speed up this process, as specimens growing in shade take longer to change colour. The most common species used for bonsai cultivation are Betula pubescens (Downy Birch), Betula pendula (Silver Birch) and a dwarf Birch called Betula nana. 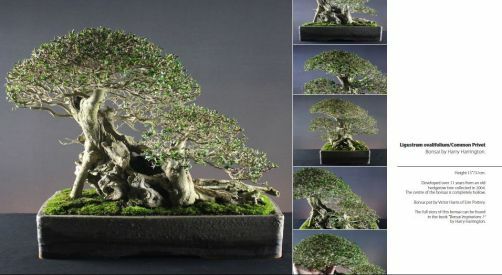 There are many other species and hybrids that are also suitable for bonsai but are too numerous to list. Betula nana, the Arctic Birch does not develop the white bark of other Birches but carries minute leaves to only 2cm long, third the size of most other Birches. It also only reaches a height of around 60cm when fully mature compared to the 20metres of other Birches such as Betula pubescens.Birch (quite rightly) have a reputation for unexplained dieback and loss of branches; this can badly spoil a well designed tree. Try to style the tree with many branches so the loss of one will not affect the overall design.Dieback can be greatly reduced by only pruning between leafing out in Spring and August. Pruning during the late Summer until Spring encourages sucker growth from the base and dieback of branches.Be very wary of collected specimens that have been heavily trunk chopped.as any areas of the trunk that do not directly support branches or growth in general, will dieback. It is common to see dieback the length of a heavy Birch trunk after trunk-chopping. POSITION Full sun. It is very important that Birch receive plenty of light and that the tree is rotated regularly so that all areas of the tree equal amounts of light. Provide some frost protection from temperatures below -7 to -8°C to avoid twig die-back. FEEDING To help restrain coarse Spring growth, do not feed until 3 or 4 weeks after growth commences in Spring unless vigorous growth is required to thicken trunks and branches on trees that are still in training. Feed fortnightly until late summer. REPOTTING Every two years in Spring as buds extend, use a free-draining soil mix. Do not rootprune Birch too early; it is better to rootprune a little late after the new buds have opened than it is to rootprune while still dormant. PRUNING Prune back new shoots to 2-3 leaves after flushes of growth through the growing season. Hard pruning can be carried out from budburst in Spring until late Summer but ensure wounds are well sealed as Birch bleed heavily and are prone to die-back around large cut areas, dieback of the trunk can often spread the length of the trunk. The resulting deadwood is aesthetically unsuitable for a deciduous tree and very prone to rot.Try to avoid doing any pruning while the tree is not in active growth to reduce the possibility of dieback.Strong and healthy Birch can be defoliated in Summer. PROPAGATION Sow seed outside in Autumn (unless of known wild origin, seed will nearly always produce hybrid plants). Root softwood cuttings in Summer.Collect wild Birch in Spring just before or just after the first leaves are visible for best results. Find specimens that do not require heavy trunk chopping as these very often dieback. PESTS AND DISEASES Birch leaf-rust can be trouble-some, aphids and mildew. STYLING Informal upright forms with single or multiple trunks in small to extra-large sizes.